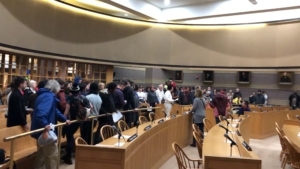 On January 7, at its first meeting of the year, the New Haven Board of Alders passed an ordinance that creates a new independent Civilian Review Board to investigate police misconduct. This a victory for the people of New Haven. 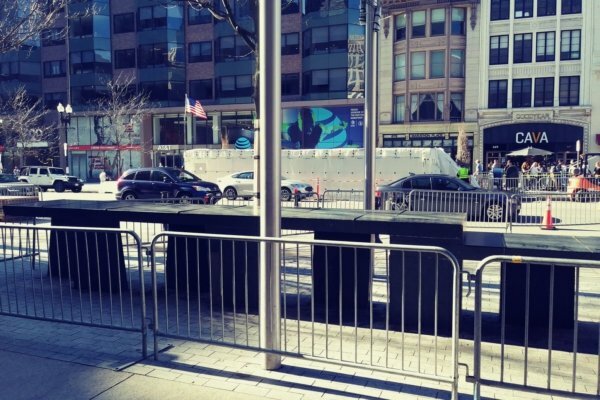 It is the result of an organized movement for police accountability and it is a significant step forward in a fight for justice that has been led by the families and victims of police brutality, along with community organizers throughout the city. The creation of an independent civilian review board has been decades in the making and led by Emma Jones since 1997 when her son Malik was murdered by East Haven, Connecticut, police, who chased Malik into New Haven and executed him near her home. The matriarch of the movement, Jones, has been at the forefront of pushing the city for a Civilian Review Board. Because of her many years of struggle and efforts from the New Haven and Yale communities, in 2013 a referendum was passed to amend the New Haven City Charter to require the city to establish a CRB, but there has been much opposition from the police union and from many elected officials that have delayed its creation. One of the major points of contention has been whether the CRB would have the ability to independently investigate and have subpoena power – the ability to legally require witnesses, including police officers, to testify or produce material evidence. At Board of Alder meetings in November and December of 2018, elected officials attempted to push through a weak ordinance that gave the CRB neither. Multiple legal opinions from a variety of sources – including the City’s own attorney and precedents of CRBs created in other cities – said this was legal, but the Alders used supposedly unclear legality to make this a sticking point. But thanks to united community organizing and pushback, these efforts to weaken the CRB were defeated and overcome. The new CRB is intended to provide an opportunity for police misconduct complaints to be viewed by an independent entity besides Internal Affairs. While language including subpoena power was not explicitly included in the ordinance, the ordinance did reference state law that allows the Board to have subpoena power. Also, some members of Board of Alders went on record and stated the newly created Board does in fact wield the power of subpoena. The full independence of the review board has been a crucial point for the community organizing on this initiative. The City of New Haven and the state of Connecticut has a long history of police brutality and has failed to hold the cops accountable and deliver justice for victims and their families. The creation of an independent CRB comes at no better moment. Less than 24 hours after the passage of the CRB, New Haven Police shot and critically wounded 22-year-old Marcus Rivera. Days before its passage, on January 4, state officials said in an outrageous announcement that an investigation cleared police officers in nearby New Britain of any wrongdoing in the reckless police shooting that killed 20-year-old Zoe Dowdell and wounded two other youth on December 17, 2017. In early 2018, the state refused to press charges against officer James Boulay of Bridgeport, who killed unarmed 15-year-old Jayson Negron. Organizers in New Haven have made it clear throughout this struggle that the New Haven Civilian Review Board isn’t just about New Haven. 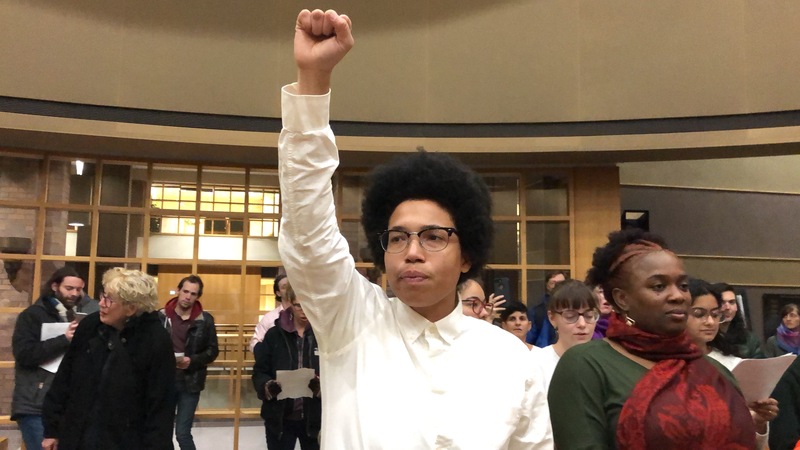 It can and should serve as a model for the rest of the state, and ultimately the country: first, for what a united and militant and principled struggle of the people can win, and second as an actual model of civilian control over police in oppressed communities. The language passed by the Board of Alders is a victory, but is not without issues. 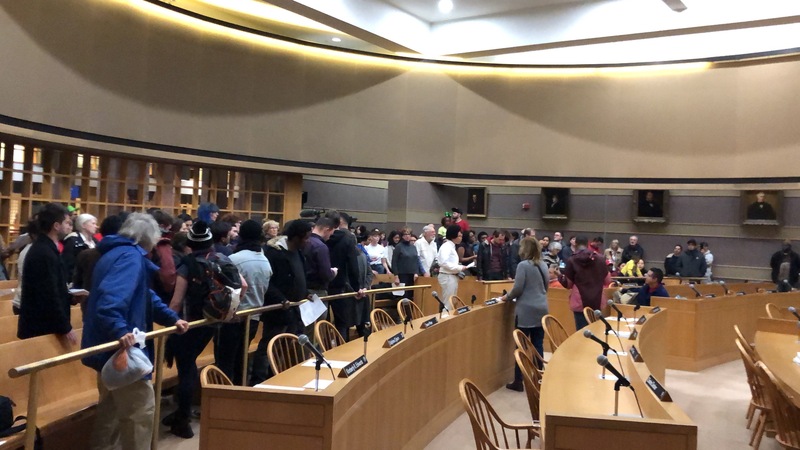 The final language with amendments was only released 30 minutes before the Aldermanic meeting, giving organizers very little time to review it and give any feedback to their Alders before the vote. Important provisions, including tying the CRB’s budget to the ever-increasing Police Department budget, the ability for the CRB to receive complaints independent of Internal Affairs (part of the Police Department), and a ban on having former police officers or direct family members of officers being eligible to be on the board, were all removed at the last minute. These setbacks cannot be viewed, however, as permanent blows to the movement: it was the movement that won the Board and it will be the movement that makes sure it works for the people. 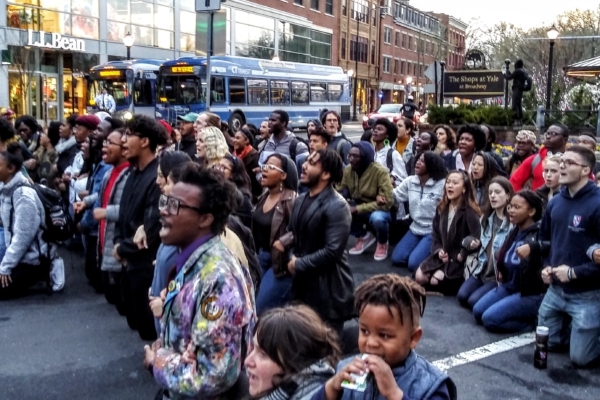 Ultimately, a Civilian Review Board is an important step towards addressing the issues of police terror that plague New Haven and so many other cities, but it is not a cure. The same movement of the people that struggled for years and decades will be the decisive force in this struggle. 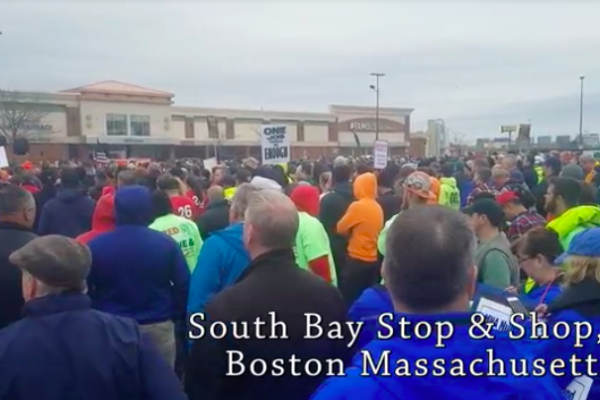 In the labor movement, an important guiding principle has been “if you’re not in a union, fight to get one; if you’re in a union, fight to make it fight.” The Party for Socialism and Liberation has been proud to be part of the movement against police terror in Connecticut and we congratulate all those involved in this important victory and we look forward to continuing this movement and building a civilian review board that fights for all the victims of police misconduct, past and present. The struggle to end racist police brutality and for justice for victims and their families will continue – join us, the fight is not over!